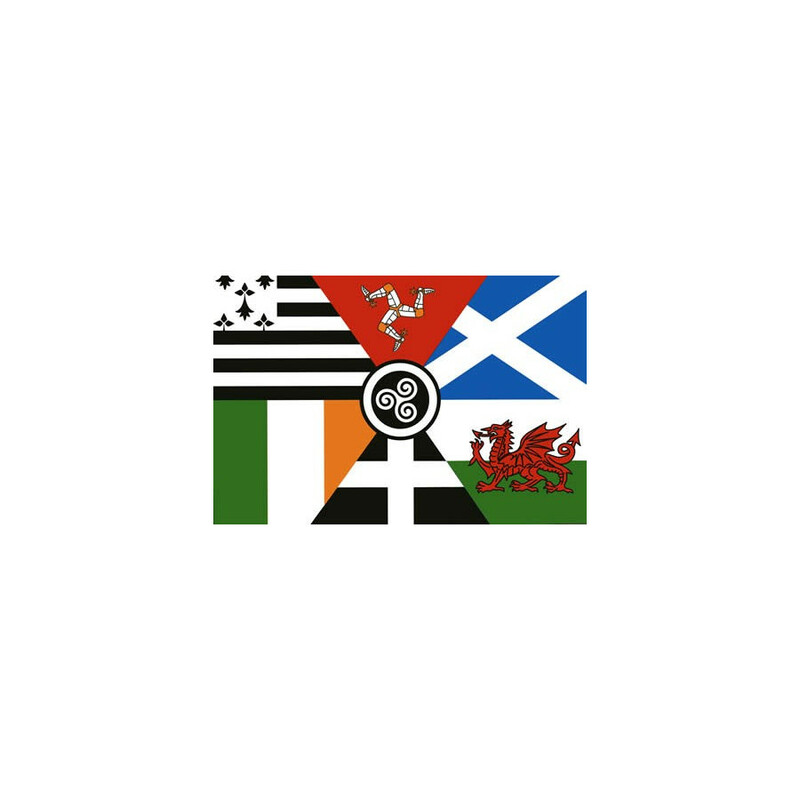 The Celtic Nations (Keltia) flag has been created in the 1970 by Polig Monjarret, a musician member of the Breton Mouvement. 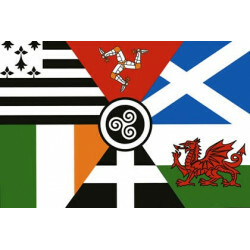 The Celtic Nations (Keltia) flag has been created in the 1970 by Polig Monjarret, a musician member of the Breton Mouvement. Several flags are gathered around the Triskell. From the top left to the right: Britanny, Isle of Man, Scotland, Ireland, Cornwall and Wales. They are 2 ring on the flag.